They didn't announce pricing, but they did announce some of their long list of original shows. In the future, it increasingly appears that we will get all of our in-home content from five or six streaming services, most likely owned by five or six major corporations. It won’t be like we’re only supposed to subscribe to one of them, but chances are if we subscribe to all of them, it’ll one day cost about what cable does now. On Monday, we finally officially learned that Apple will be one of those companies. The company, at a keynote event, announced that it will launch its streaming service, Apple TV+, later this year. 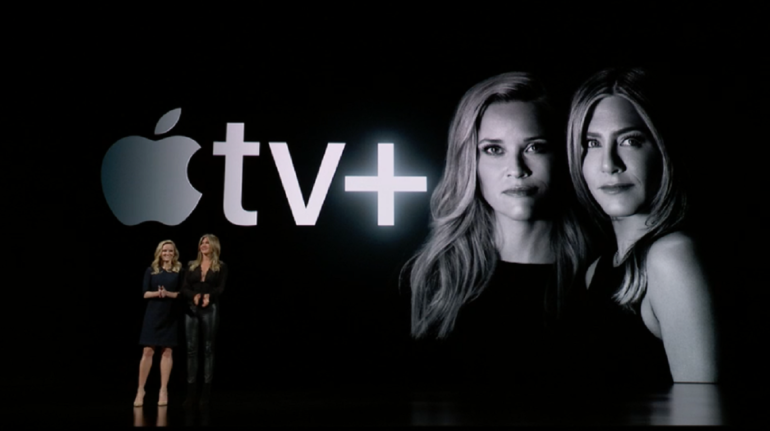 The company did not announce pricing, but it did announce that it will offer a long list of original shows, which can be watched through the new and improved Apple TV app. Very few of the shows announced were surprises, as the shows have been in production over the course of the past year, with plenty of news reports about them, but Apple brought the star power. Steven Spielberg – fresh off of a controversy in which he sought to limit Netflix’s Oscar eligibility – appeared in a video at the event, to talk up his Amazing Stories reboot. The charges of hypocrisy don’t make a ton of sense – Spielberg never ripped streaming as a concept, and has not teamed up with Apple for any kind of movie that would go up for Oscars, also, he’s long produced material for television, such as Band of Brothers and the original, 1980s Amazing Stories. And Spielberg’s involvement with the Apple effort had been known about for at least a year. Oprah also talked up her new documentaries for the channel, while other involved big names include J.J. Abrams, M. Night Shyamalan, and a couple of the co-creators of It’s Always Sunny in Philadelphia. And there’s also The Morning Show, which will star a trio of A-listers – Jennifer Aniston, Reese Witherspoon, and Steve Carell. Is Apple’s TV launch a good thing? Well yes – some of the shows look intriguing, and I’m generally in favor of more places for artists to do their work as opposed to fewer. On the other hand? Amazing Stories probably won’t get the full attention of Spielberg, who has several movies in the pipeline currently, and there have been worrying reports of executive interference with creators, and a reluctance to allow any adult-oriented content. If Netflix, Amazon Prime, HBO Now, Hulu, CBS All Access, and Apple TV Plus aren’t enough, there’s more to come: Disney will unveil its new Disney Plus streaming service – complete with what used to be in the “Disney Vault” – later this year, and Warner Media and other studios are reportedly planning their own versions. Apple’s announcements represent a culmination of the vision of the company’s late owner Steve Jobs, who towards the end of his life told his biographer that he believed he had “cracked” the idea of TV, which was thought at one point to include an actual Apple-branded television. That never happened, but the presence of Oprah and Steven Spielberg wasn’t a bad consolation prize.